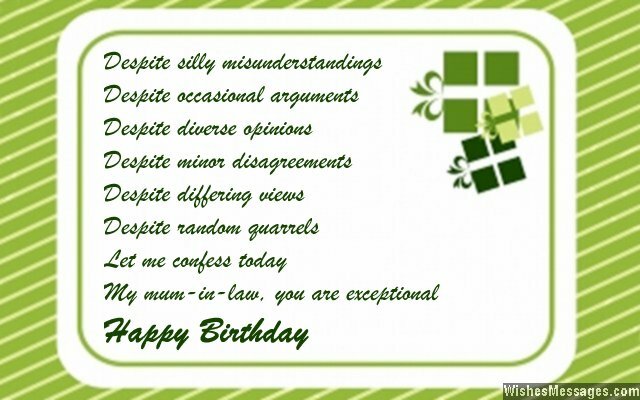 Birthday poems for mother-in-law: Don’t let the stereotype perception of evil mothers-in-law get the better of you. 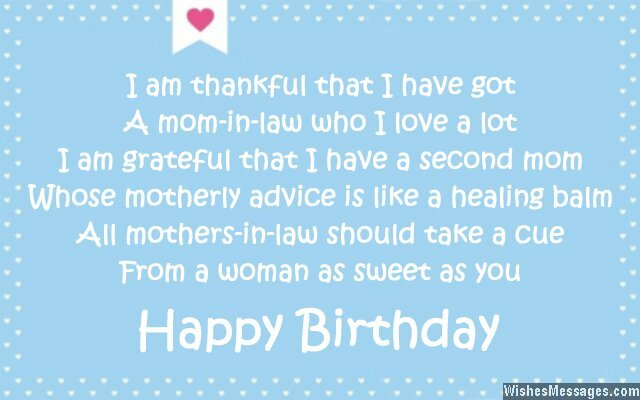 Your husband’s or wife’s mom can actually be a lovely woman who you can depend on for advice and support. Whether it is babysitting your kids or asking her questions about parenting, she can play the role of a second mother in your life. Shed all the negativity associated with the word in-laws and embrace her loving presence in your life. 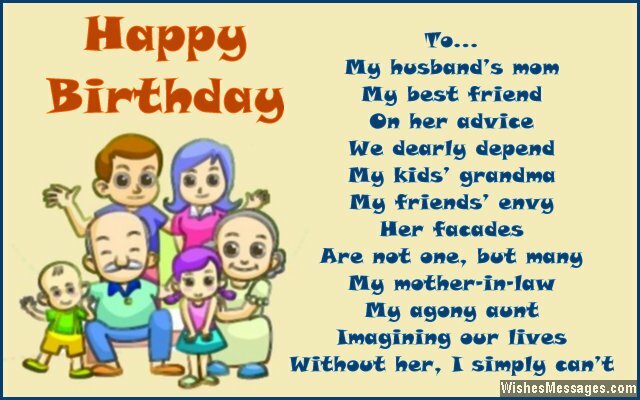 Write a short rhyme on a greeting card and make a sweet toast to show your mom-in-law that her birthday is nothing less than a grand family celebration.